"It was a blistering hot day and Matilda asked if we could go for a paddle. She was only waist deep when she said she could see a sword." 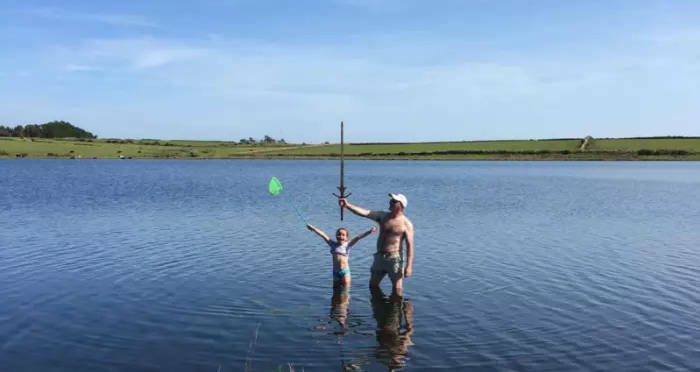 One little girl was thoroughly surprised when she found a sword in the exact lake that legend says King Arthur’s sword Excalibur was left. The Scotsman reports that Matilda Jones, aged seven, from Doncaster, England was on a trip to Cornwall with her father when she found the sword. Her father, Paul Jones, brought his two daughters to Dozmary Pool on Tuesday, August 29th. On the way to the lake, Paul recounted the legend of King Arthur, and the story of how Excalibur was said to have been discarded in the Dozmary Pool. Just like the Arthurian legend, a sword lay in the water waiting for someone to draw it out. King Arthur is a legendary figure of British folklore who became king when he pulled a sword from a stone. In the legend, Arthur later received the magical sword Excalibur from the mysterious Lady of The Lake, a woman who appeared from the waters of Dozmary Pool. Excalibur was said to imbue its possessor with the right to be king of England, as well as possessing a number of magical attributes, including the ability to blind ones enemies in battle. Dozmary Pool is also said to be the final resting place of Excalibur, after the death of King Arthur. According to the legends, after King Arthur died at the Battle of Camlann. Sir Bedivere, one of Arthur’s Knights of the Round Table, discarded Excalibur in Dozmary Pool, returning the sword to the Lady of the Lake. There is no word yet on whether Matilda will be assuming the British throne anytime soon. The source of the “Excalibur” sword has been revealed. 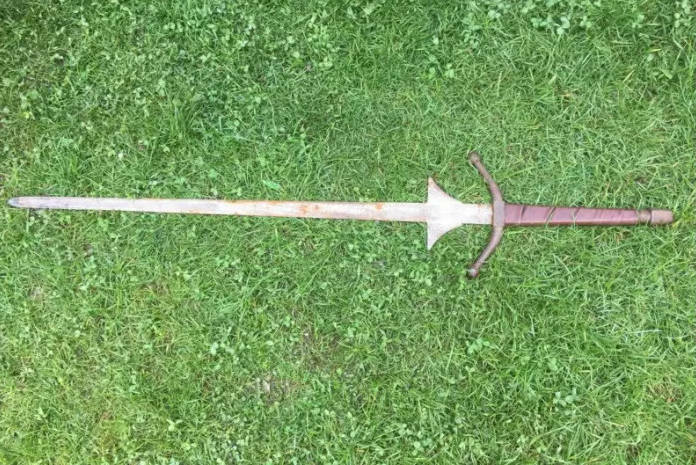 Next, read about the preserved Medieval sword that was found in a Polish swamp. Then learn about the 14-year-old boy who found a WWII-era German warplane while working on a school project.